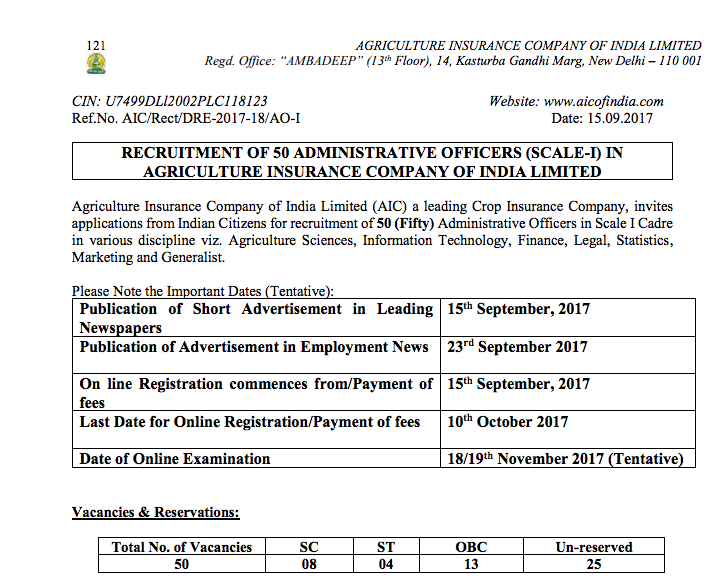 Agriculture Insurance Company of India Limited (AIC) a leading Crop Insurance Company, invites applications from Indian Citizens for recruitment of 50 (Fifty) Administrative Officers in Scale I Cadre in various discipline viz. Agriculture Sciences, Information Technology, Finance, Legal, Statistics, Marketing, and Generalist. Age (as on 01.09.2017): Minimum Age: 21 years & Maximum Age: 30 years as on 01.09.2017 i.e. a candidate must have been born not earlier than 2nd September 1987 and not later than 1st September 1996 (both dates inclusive). Candidate must possess the minimum qualification as listed in the table below from a recognized University or any equivalent qualification recognized as such by Central Government. 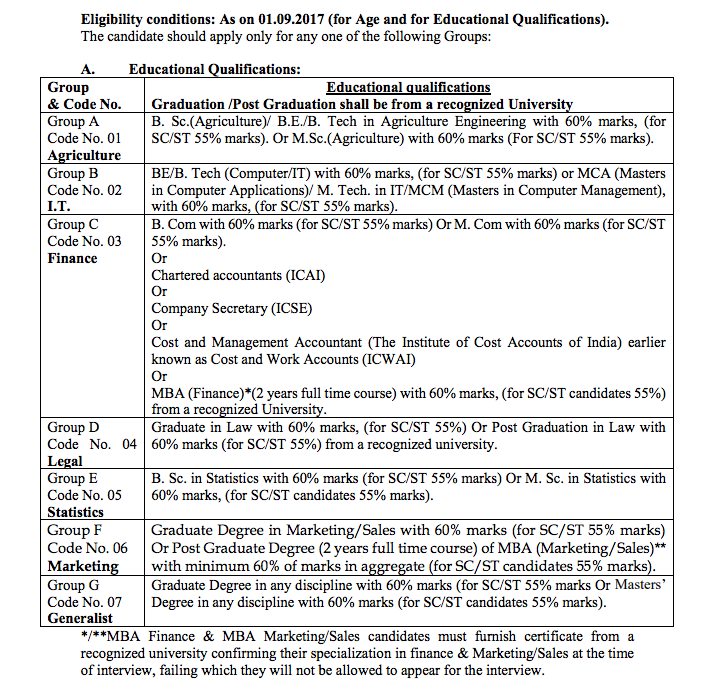 Candidates should possess certificate in proof of passing the qualifying examination as on 01.09.2017. For more information download the official notification from the link provided below.